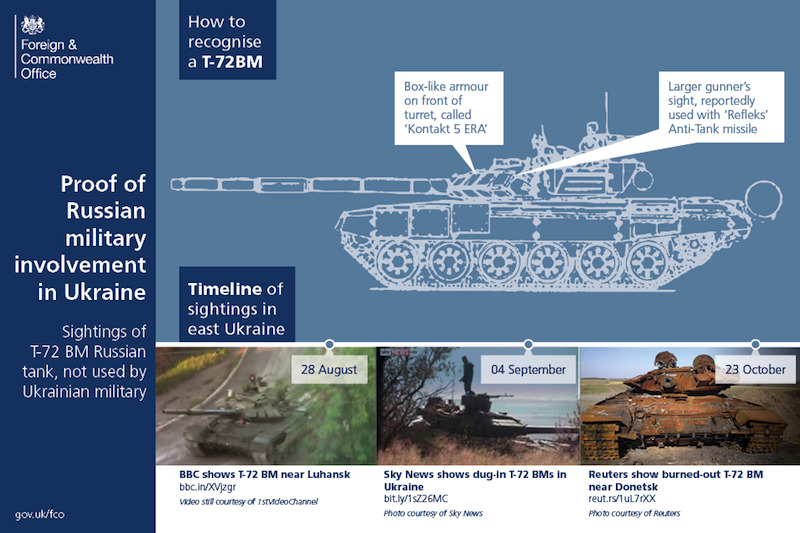 The British embassy in the Ukrainian capital has tweeted out a snarky guide on how to recognise a Russian tank. 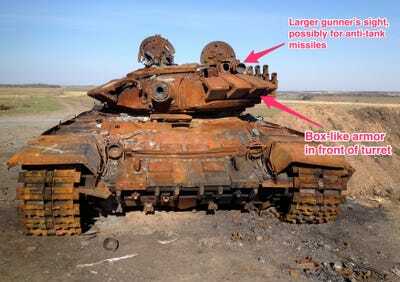 The guide was created to help Russia identify its own T-72BM tanks within Ukrainian territory. The T-72BM is a signature Russian tank that is not used by the Ukrainian military. This necessitates that the tanks spotted throughout Ukraine were supplied by the Russians to the separatists fighting in eastern Ukraine. According to the graphic from the British embassy, the T-72BM has been spotted at least three times during the ongoing Ukrainian crisis. Photographers managed to capture pictures of it on August 28 near the rebel stronghold of Luhansk, on September 4 in a dug in defensive position, and on October 23 by the rebel stronghold of Donetsk. Reuters Staff/REUTERSA destroyed Russian T-72BM tank. It is identifiable by its box-like turret and an enlarged gunner’s site on the right-side. The tank’s presence all but confirms Russia’s military actions within its neighbour’s borders. 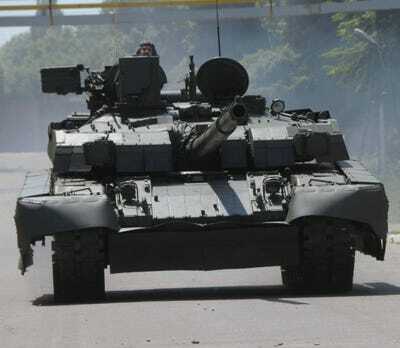 Ukraine had been claiming for months that Russian equipment was being shuttled across the border and was falling into the hands of the separatists in order to build a proper army. Russia and the separatists instead claimed that the weapons had been looted from Ukrainian military bases and fleeing soldiers. The T-72BM is a main battle tank that had been designed and produced during the Soviet Union. The BM model is distinguishable from other T-72 variants by the box-like armour in front of the turret and a larger gunner’s sight that is used in conjunction with an anti-tank missile. Vitaly KuzminThe Ukrainian-made T-84 has a significantly wider turret than the Russian T-72BM.